As the popular saying goes, travel is the only thing you buy that makes you richer. And how can it not – meeting new people, trying new foods, simply being in an unfamiliar place is one of the best ways to release lingering prejudices and learn new things about yourself. How can anyone compete with the world's strongest natural fiber? It would be like competing with your lungs for air – nature will always have the final say. In all seriousness, linen is naturally thicker and up to 30% stronger than cotton. It's all because linen fiber is longer than that of cotton, and fiber length contributes directly to yarn strength providing less breakage, which results in an overall stronger fabric. Choosing linen clothing for travel means not having to worry about unexpected rips and tears. Linen is also very stable and won't lose its shape after washing – what's worse than taking a dress or a t-shirt out of the washing machine to find it stretched out?! If anything, linen will become softer after every wash. Also, stonewashed linen won't shrink as unwashed linen would, meaning no unpleasant surprises. Traveling in the summer usually means traveling in the heat. Be it tropical islands or modern cities, the weather gets hot and humid – the last thing you want is clothing that contributes to the already annoying sweat. More points for linen! Linen fiber is hollow – and looks really cool under a microscope – but more importantly, it allows more airflow so your body breathes and perspires less. The skin temperature of those wearing linen clothing in hot weather was measured to be 3-4°C lower than those wearing other materials. Now, some will argue than linen's breathability makes it unfit to wear in colder weather, which isn't entirely true – linen is a natural insulator and retains heat from your body, but if you're worried about getting chilly, simply bring a light sweater, jacket or scarf. Another important thing is linen's moisture-wicking quality. The fabric is very absorbent, but it doesn't mean your clothes will be covered in damp sweat stains. 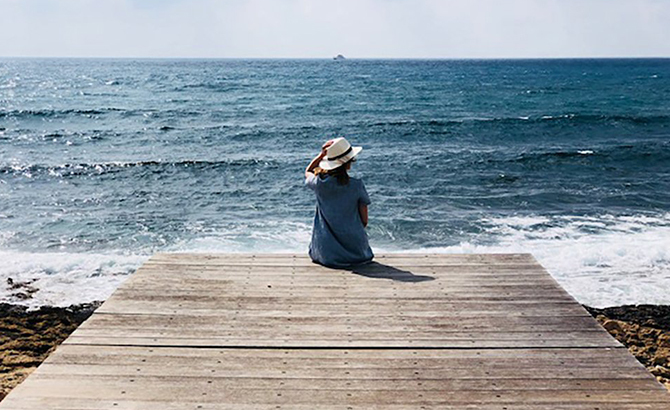 On the contrary, linen gains and releases moisture quickly making it the perfect choice for summer dresses, pants, shirts, and even beach towels. The ability to pack light is an envied skill. It's not easy to not overstuff your suitcase when you need something for every occasion: beach, hike, dinner at a restaurant... Here's where linen comes in. Again. Because of the fiber type and how it was woven, clothes made from linen end up being lightweight and don't take up much space when folded. To compare, a 100% rayon dress weighs 8.6 ounces (245 grams) while a linen dress of the same size weighs only 6.3 (180 grams). What's more, linen can look both casual and dressy depending on the accessories. 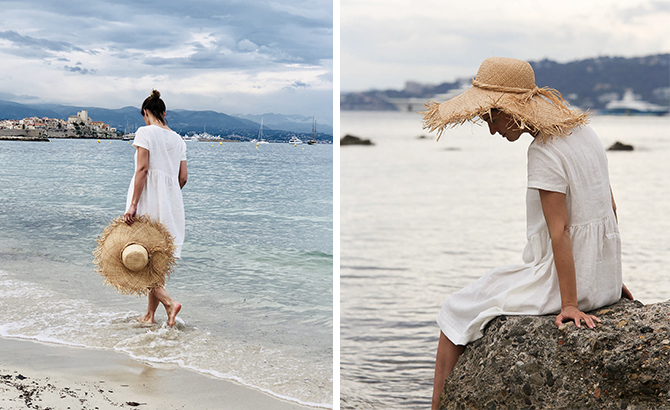 You can easily wear a linen dress to the beach with simple espadrilles and then pair the same dress with some high-heels and jewelry for a more sophisticated look. Why pack multiple pieces of clothing when a few linen items can sustain you the whole trip? We've heard so many people say they would love to wear linen but they can't deal with how wrinkly it gets. To this, we can only say one thing – to each their own. If your style begs for starched shirts and smoothed-out pants, then linen isn't for you. However, we live in a time when championing natural beauty and embracing your imperfections is the new big thing, so why not dress in clothing that is as natural and effortless as it gets? It takes getting used to, but the crumpledness of linen clothing actually makes it feel cozier. It also signifies the quality and purity of the fabric – the wrinklier, the better. Note that when we say wrinkles, we don't mean the creases that appear after folding your garments – they can be removed by ironing, but the naturally crumpled texture of linen will always remain. Summer is a state of mind! Discover our 2018 linen clothing collection.